Instructors can setup the Grade Center to calculate extra credit points. Adding an extra credit column to the Grade Center works well if you use total points to calculate grades. The information to add an extra credit column in this Blackboard tip will NOT work if you weight grades. Follow these steps to do it. In the Control Panel, click on [Grade Center] and then select [Full Grade Center]. On the Create Grade Column page, enter a name for the column (e.g., Extra Credit). Select [Score] from the Primary Display menu. Enter 0 for Points Possible. Select the [Yes] radio button for Include this Column in Grade Center Calculations. NOTE: The method described above does not work with weighted grades because weighted grades are based on a 100% total. 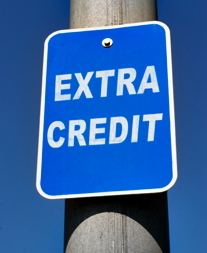 Generally, if extra credit is available in class with a weighted grade total, the extra credit must be manually calculated. You should download your gradebook to your local computer after you submit your final grades. Student access to Blackboard courses is removed two weeks after the end of the semester. During this process Grade Center records are deleted. All your Grade Center records will be lost if you do not download your gradebook before student access is removed from Blackboard courses. Goto the [Control Panel] for that course and click on the [Grade Center] link to expand it. Click on [Full Grade Center]. Move your mouse over the [Work Offline] button on the menu bar and then click on the [Download] link. Under [Data] section, select the [Full Grade Center] option, under the [Options] section, select [Tab] as the delimiter type and [Yes] to include hidden information. In the [Save Location] section, choose [My Computer] and then click on the [Submit] button at the bottom of the page. On the next page click on the [Download] button. You should get a dialog box with a request to save the file. Save the file to a location where you can find it later. The file you saved can be opened with Microsoft Excel. 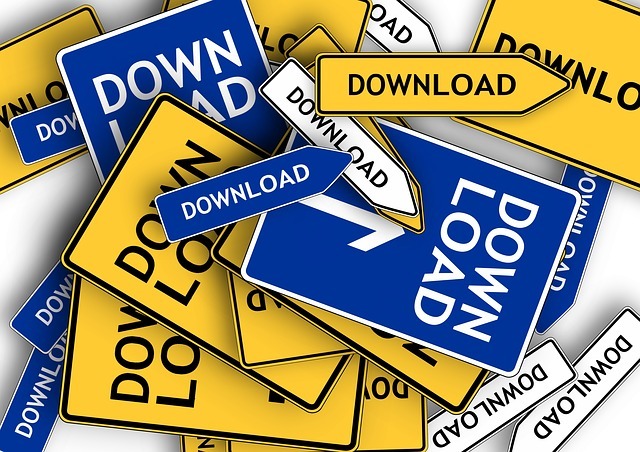 Step-by-step instructions to download Grade Center (PDF) are available. Check out help for instructors at help.blackboard.com. Step-by-step instructions are available [PDF]. Explore Blackboard's On Demand Learning Center [HTML]. Student access to courses is removed two weeks after the end of a semester. During this process all grade book records are deleted. You should download your gradebook to your local computer after you submit your final grades. In order to download (export) the gradebook for a course, you should goto the [Control Panel] for that course and click on the [Grade Center] link to expand it. Click on [Full Grade Center]. Once you are inside the Grade Center you should move your mouse over the [Work Offline] button on the menu bar and then click on the [Download] link. Under [Data] section, select the [Full Grade Center] option, under the [Options] section, select [Tab] as the delimiter type and [Yes] to include hidden information. In the [Save Location] section, choose [My Computer] and then click on the [Submit] button at the bottom of the page. On the next page click on the [Download] button. You should get a dialog box with a request to save the file. Save the file to a location where you can find it later. The file you saved can be opened with Microsoft Excel. Student access to courses is removed two weeks after the end of a semester. During this process all gradebook records are deleted. You should download your gradebook to your local computer after you submit your final grades. In order to export the gradebook for a course, you should goto the [Control Panel] for that course and click on the [Grade Center] link. Inside the Grade Center you should point to the [Manage] button on the menu bar and then click on the [Download] link. Under [Data] section, select the [Full Grade Center] option, under the [Options] section, select [Tab] as the delimiter type and [Yes] to include hidden information and then click on the [Submit] button at the bottom of the page. On the next page click on the [Download] button. You should get a dialog box with a request to save the file. Save the file to a location where you can find it later. The file you saved can be opened with Microsoft Excel.